June 1st, 2018 (9:50 PM). Edited February 9th, 2019 by Daman. 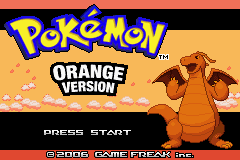 This hack is a GBA remake of Pia Carrot's Pokémon Orange The original goal was to make it a loyal remake by sticking to every element featured in the original, but that has changed since I decided to change some stuff regarding plot/character designs/region design/balancing. The main idea, however, stays the same, which is to make a quality Orange Islands hack. 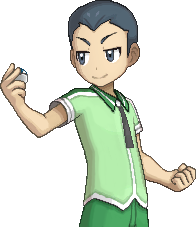 You play as a kid who wants to become a Pokémon Master after hearing of a trainer named Red, who defeated the Indigo League 6 months ago. 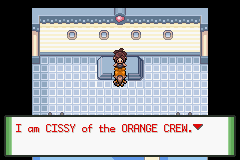 You embark on a quest to take on the Orange Crew and deliver the cryptic GS Ball to the reputed Prof. Samson Oak, who is visiting the region soon. 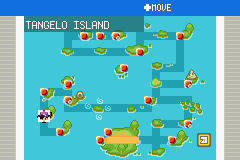 Play as Tyson/Doris, explore the island region, catch Pokémon and battle! Step into a world full of adventure, fun times, difficult times and unforgettable experiences! June 1st, 2018 (10:19 PM). So is Sunset Orange scrapped or.. ? June 1st, 2018 (10:33 PM). Edited June 2nd, 2018 by Delta231. Sunset Orange is discontinued because we all know Ash is a jerk so this is totally a new hack with new protagonists. June 2nd, 2018 (3:20 AM). June 4th, 2018 (3:48 AM). that's good. i will play and make some gameplay and promote link to your topic soon! Amazing boy! June 4th, 2018 (5:01 AM). I'm pretty excited for this. Pia carrot's hack is one of the best I've played. I'm really hoping this goes along smoothly. June 8th, 2018 (11:31 PM). 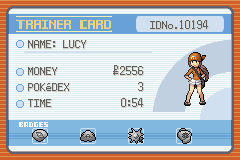 So Pokemon orange will not update? June 9th, 2018 (3:29 AM). Both of the hacks are very different. GBC has more content but this is one has a different rival than the original. But you will enjoy this hack for sure. June 9th, 2018 (11:23 AM). June 30th, 2018 (4:29 PM). 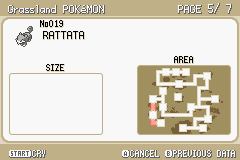 i like the look of this rom hack. when is the next expected release date? 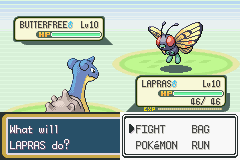 and i have something to say, please do not abandon this rom hack it looks good. thanks for creating it. July 26th, 2018 (5:17 AM). Edited July 26th, 2018 by roemerma. What is the best way to stay on top of updates? Is there a discord or a way to be notified? August 14th, 2018 (3:53 PM). Hey there, glad you like it! I am mapping Crystal Cave right now. The plan is to map up to Kinnow Island, and then script all of it. September 20th, 2018 (8:58 PM). Edited September 25th, 2018 by Kxngsuthetland. Is this still working on?? October 4th, 2018 (1:15 PM). Sure is. 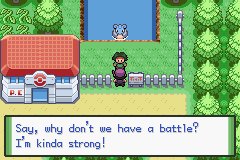 Hopefully, the next version (2 gyms) should be ready by new year if things go smooth. October 27th, 2018 (5:10 PM). Alpha 1 saves are Compatible for the Feature Update? October 27th, 2018 (6:52 PM). The game is really interesting to me. I hope that in the future you also change the graphics or if you already did, upload some images of that. Good luck and hopefully soon it will also be in Spanish. November 6th, 2018 (8:26 PM). Ah, what do you mean by changing the graphics? They have already been changed, heh. Unless you mean fancy DS style, then nope. 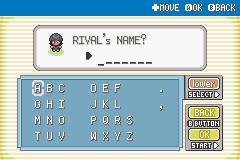 It's a GBA remake in Fire Red style. Would love to work on a Spanish version once I've finished it if someone's willing to translate dialog for me. November 8th, 2018 (11:50 AM). Yeah, i'd like that the game has better graphics. But I do not want to put pressure. Thanks for develop this game, anyway. Regarding Spanish version, i can help you to do it. I've translated several games, if you wonder that. November 8th, 2018 (3:43 PM). February 4th, 2019 (10:04 AM). February 6th, 2019 (2:03 PM). February 9th, 2019 (7:45 AM). Edited February 9th, 2019 by Daman. 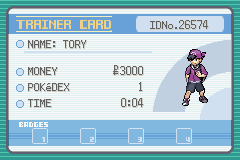 Hi, this project is now being done on the pokeemerald disassembly, so right now stuff is just being ported over. The next update will be the full release when it's done, hopefully before mid 2020. I will be posting some screenshots and videos once I have ported my stuff over and keep this thread updated, though. As for now, I'm just going to post these maps, haha. 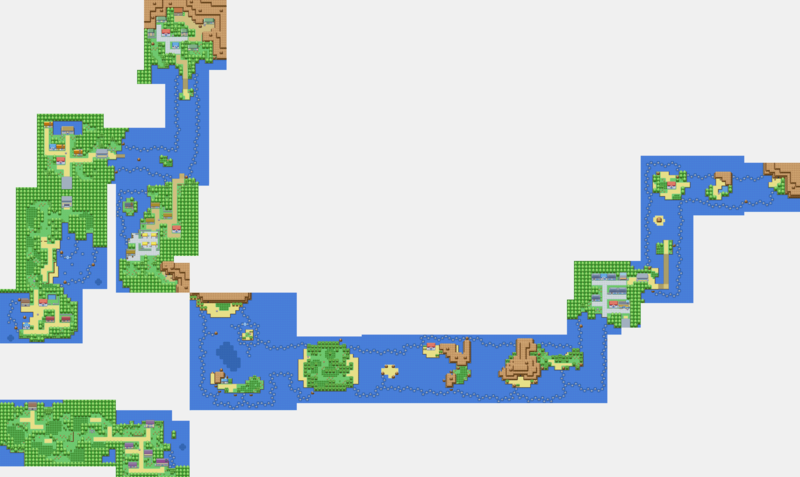 As you can see, it is done till Navel Island/Gym 2. Some maps have been touched up and redone, so I will post an updated stitch later. February 10th, 2019 (12:44 AM). I'm really glad to see that this is back on track, especially with the emerald base getting more love! I like how you've gone about the mapping as well. Thank you! February 10th, 2019 (5:53 AM). 1 Week Ago (7:42 AM).